This image shows the most detailed image taken of M57, until present day. The famously named “Ring Nebula” (also catalogued as Messier 57, M57 or NGC 6720) appears in the northern constellation of Lyra and is located in the Carina–Sagittarius Arm. 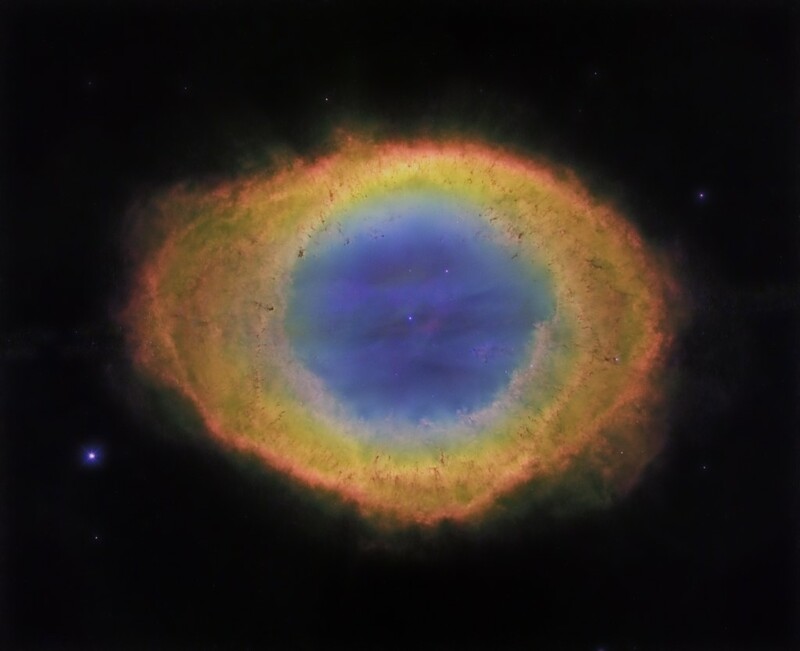 It is one of the most prominent examples of a planetary nebula, the gaseous remains of red giant star that has ended its life by expelling its material into the surrounding interstellar medium. I processed this image using Photoshop 4 and Fits liberator for the file conversion.